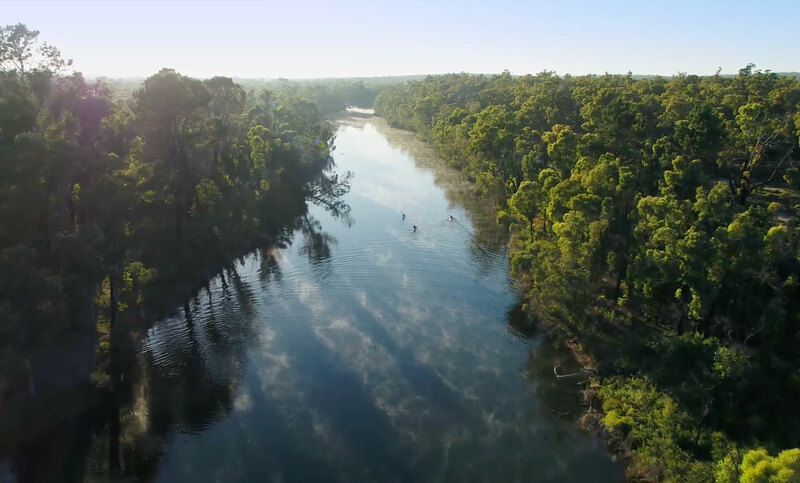 Surrounded by forests, rivers and lakes, Collie is a modern thriving community with country charm and hospitality. Climb the mountain to the top of the Darling Scarp and discover the beautiful Collie River Valley, which is quickly becoming Western Australia’s MTB capital. Go off-road on an MTB track and criss-cross through the beautiful Collie River Valley. With more than 20 trails for beginner and pro, there’s plenty of opportunities to get your cogs turning. Cyclists and other caffeine addicts should pay a visit to Wagon 537 – a pop-up cafe, located in a heritage train wagon. Through a passionate team and local support, the Collie Art Gallery showcases a diverse and impressive exhibition program – think Arthur Boyd, Howard Taylor and Guy Grey-Smith. The Collie Motorplex circuit is sure to get the adrenaline flowing, with events on just about every weekend. You may be inland, but there is no shortage of water adventure playgrounds in the Collie River Valley. SoPerth named the beautiful, serene Honeymoon Pool in Wellington National Park an Instagram hot spot. One visit and you will agree. The central heartbeat of the region, exploring the 17, 000 ha Wellington National Park is a must-do on any itinerary to the Collie River Valley. The Bibbulmun Track has long since been an Australian bucket list hiking experience. Step back in time and gain an insight into the lives of Collie’s rugged underground miners. If you’re looking for a great family experience on a budget, enjoy a great day out at Central Park. Pack a picnic and some towels so you can sit back and relax the kids enjoy a splash in the water play park. Though Collie has a relatively short history, declared a townsite in 1896, the town is proud of it’s old buildings and historical collections which reflect the importance of the early years of timber milling, railways and coal mining..
Collie artists and craftspeople take inspiration from the surrounding forests and bushland, with their work showing their passion for the local landscape. With two local tracks, there is always plenty of exciting motor sport events happening in Collie all year round. We all deserve a treat now and then, so pamper yourself with a new outfit, get your nails done or a facial, and finish it off browsing for unique Nordic-style gifts and homewares. Local markets are on regularly, with unique home-made gifts and fresh produce. The Collie River Valley has many interesting and picturesque drives winding through the beautiful surrounding forests and hills of Collie. Two local tour companies can take the hassle of finding the best places to visit around Collie, Ferguson Valley and the South West with many different packages to choose from. A great variety of mountain bike, walking and dual use tracks and trails can be found in the Collie region. There’s bound to be something to suit, whether you’re an experienced mountain bike rider or novice, or looking for a short walk or a longer bush adventure. So don’t forget to pack your bike or walking shoes and enjoy the great outdoors in the beautiful Collie River Valley. Want to try the #collietrails, but don’t have a mountain bike? Don’t worry, just hire a mountain bike from Crank’n Cycles from just $30 per day!